Having met the main complication head on, the consequences are effecting all the characters. Choi Kang Hee (Cha Hong Do) is such an amazing actress. 04:39 – Sending a person who has trouble being around people and is only sort of getting the hang of it now abroad, I’d like to see you try grandfather!! Butler Ahn in right, they need to be told, it will just get complicated if it keeps on like this. 10:02 – I love how childish Yi Suk can be, it’s so endearing~ Also, I really hope Yi Suk’s mother doesn’t turn on Hong Do and they actually just have a chat and try to sort things out. The worst thing to happen is if threats and accusations are thrown at Hong Do. 11:22 – That’s exactly what’s happening T.T I feel for the mother, I really do. The death of her child really hurt her, and added to her mental health, I’m amazed she didn’t go further. But my poor baby Hong Do! 13:18 – She started to remember… I’m so scared that she is going to lapse and not leave her house. I know that Hong Do has a lot of fight in her, but this is huge and basically ruins the one relationship she cares most about. 16:50 – Poor Se Ro, the ladies of this drama aren’t having much fun right now. 21:57 – This is so painful right now. 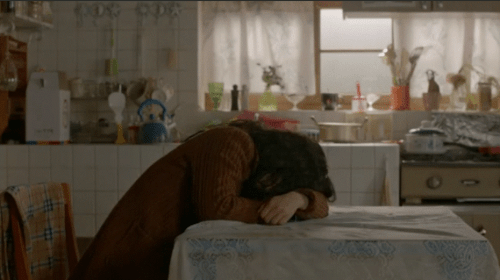 Hong Do is basically regressing on her floor and Yi Suk doesn’t know anything and his mother is threatening to kill herself is he leaves her side and goes to Hong Do. 24:30 – Se Ro and Det. Jang are the light in the bleak ordeal that is surrounding my mains. 29:00 – Det Jang to the rescue!! Hong Do better be okay! She’s probably fainted/passed out from shock and not eating right? It’s a good thing Yi Suk took all those locks of her door. Also, what a terrible landlady! First off she demands that Hong Do pays $5000 in a week or lose her home and now she wants to put the rent up because she wants Hong Do to leave because she never see her. what?! Why do you care if you never see her? 31:25 – “I’ll have to set things straight.” If you had listened to butler Ahn in the first place, grandfather, then this wouldn’t be happening!!! smh. 37:44 – All of my babies are pretty much all really sad, why is this happening to me?! T.T Someone needs to tell Yi Suk. I mean the grandfather had a chance, but no, he just doesn’t say anything. I think that this is what everyone is forgetting. She was a child and a young one at that. To blame her for something that she didn’t know could cause so much damage and didn’t even remember is too harsh. 40:27 – I feel that Det. Jang means well, but his intentions are misplaced and he seems to be using this situation to get to be by his side… also NOOOOooOO Hong Do can’t go anywhere!!! 41:05 – Yi Suk is sat on her sofa… he’s so worried, I mean he even called Det. Jang! This situation is such a mess. 45:17 – wait… NOOOOoo please don’t take this avenue… why are you butting in Det. Jang??!?!?!?!? 46:40 – Well here come the tears…. T.T The way she grabbed hold of his legs and kept saying she’d done wrong… he looked so confused and I don’t blame him. I wish he hadn’t left though. This is how I feel after those voicemails as well. Yi Suk was so worried and just wanted her to be safe. The last one…. T.T I think because of how open they have always been from the start, the fact that so many characters are keeping things in and causing misunderstanding makes this whole situation hurt even more. 50:25 – Det. Jang is looking into the fire and death of Yi Suk’s brother. Please let his detective skills find something to end this pain!! Also, didn’t they say that Hong Do was 6 yrs old at the time of the fire? Are there six years between Hong Do and Yi Suk? 54:16 – Det. Jang better tell Yi Suk, because this is killing me and I think I might have to kill Det. Jang. He is trying to protect her but this is too much, it feels slimy. (I do like that Yi Suk knows her too well to believe she slept with Det. Jang. He loves her so much and it is hurting him that she won’t tell him what is wrong). Ahhh what a way for Yi Suk to find out. And from the preview it looks like his doesn’t take it well. We had so many cute moments up until now and that’s why this hurts so much. Now I need to go and eat a lot of chocolate to make myself feel better and brace myself for the next episode! !